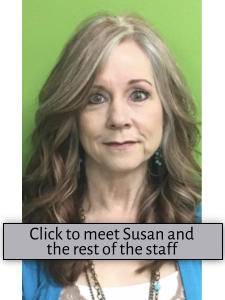 Susan and all of her licensed specialists are dedicated to continuing education and have a passion for serving others and creating styles unique to each person. Their goal is that you will feel more beautiful and confident than when you walked in. 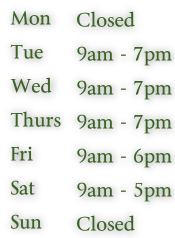 We schedule appointments by phone according to availability and specialty. We do NOT take appointments via text, Facebook, or email. Please let us know if you will be late and we will do our best to accommodate you. However; being late could limit the time allocated for the service. We understand that unexpected things happen. Please give us as much notice as possible if you must cancel so we can offer that time to another client. Again, we understand that unexpected things sometimes happen that may cause you to miss your appointment. When that happens, the stylist is at work but isn't getting paid for the amount of time we had you booked for. If you schedule an appointment and you don't come, we may ask you to guarantee your next appointment by paying ahead so the stylist will be paid for their time.